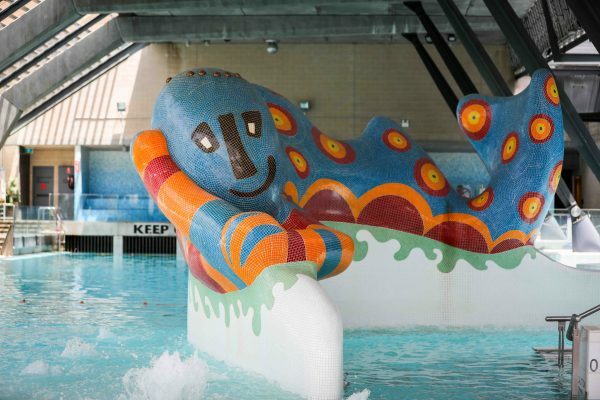 The Soundscape is intended to meld with the ambient sounds of the environment – predominantly natural waterscape, with some shipping highlights and the quiet reverberations from within the semi-submerged sculptures. This combination of voice fragments, natural history sounds and atmospheres should seem as if the site itself was remembering its past. 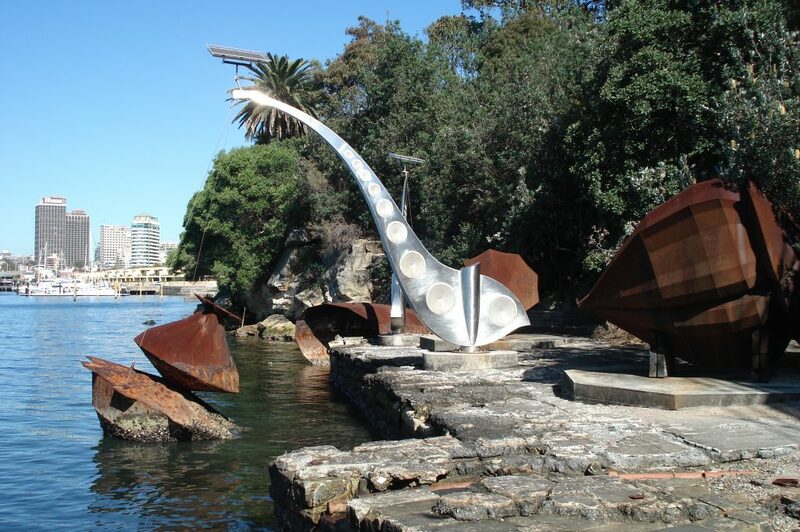 Dual Nature is a sound sculpture on the foreshore of Woolloomooloo Bay, beside Andrew (Boy) Charlton Pool. 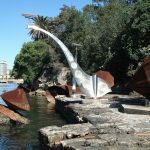 The artwork includes four cone-shaped steel sculptures blending forms found in natural history with those of industrial structures and marine architecture. Two of the sculptures stand on a sandstone shelf that was once the site of the Fig Tree Baths. The others stand on the rocks, partially submerged at high tide. The semi-submerged sculptures act as reverberation chambers, their tone constantly changing as the tide fills and empties them. 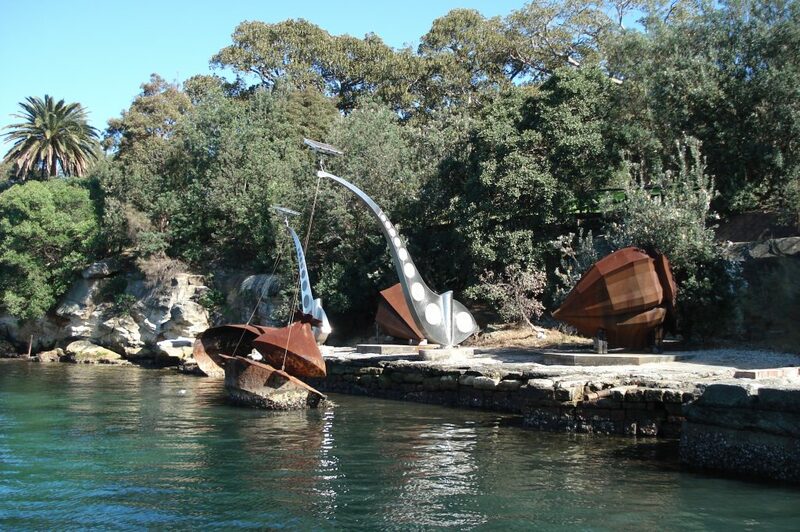 Within the land-based sculptures, hidden solar-powered audio systems broadcast a complimentary soundscape. 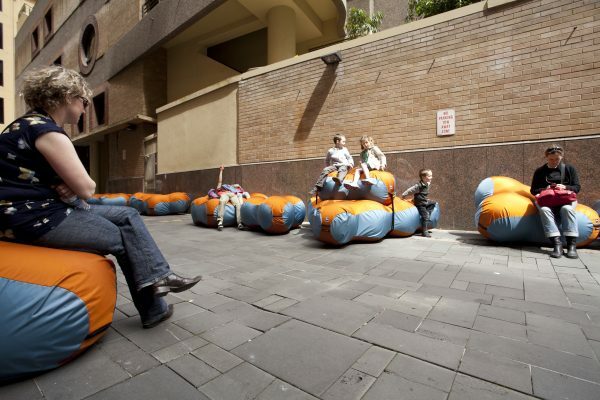 The Ebb and Flow Soundscape is composed from “multiple interwoven elements of voice narrative drawn from the historical context of Woolloomooloo”. Helyer drew this historical material from textual records and, wherever possible, from sound archives. 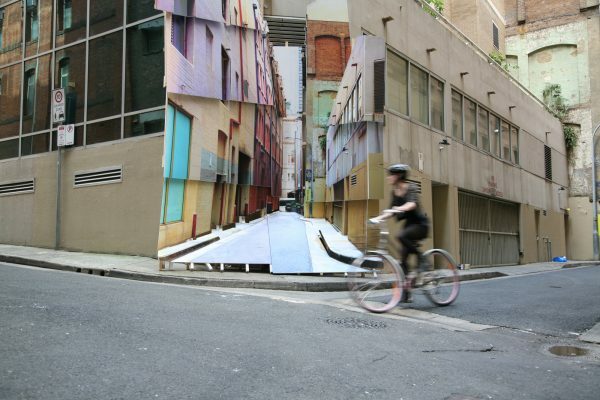 Dual Nature was installed in December 1999 as part of City of Sydney’s Sculpture Walk. 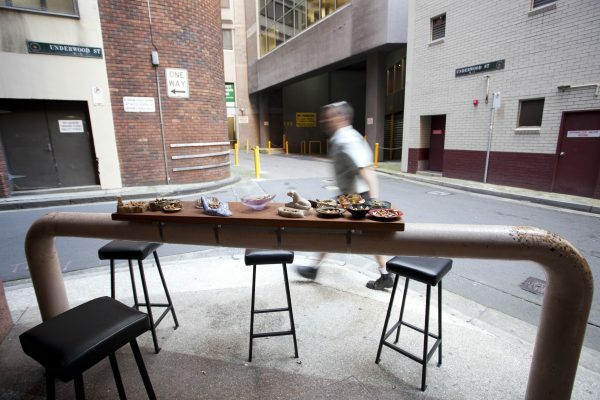 Nigel Helyer was born in UK and now lives in Sydney. He studied at the Liverpool College of Art, The Royal College of Art in London and the University of Technology in Sydney. 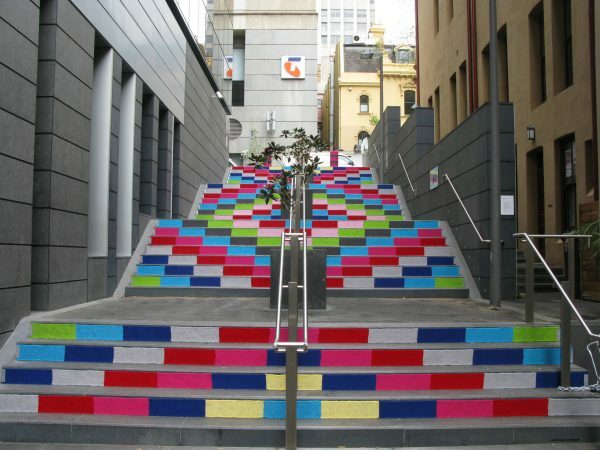 Helyer has participated in numerous national and international exhibitions, has received various awards and fellowships, and has undertaken artist residencies in UK, Asia, USA, Australia and New Zealand. 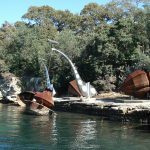 He has created several large-scale public sculptures and environmental works in Asia, USA and Europe and Australia. His practice focuses on sculpture and sound, and the relationship of the body, the environment and memory to sound. It is as if Mother Nature had overstepped her bounds and formed an alliance with Industry; or indeed, the foundry men in the Navel workshops had turned their hands to Marine Biology. 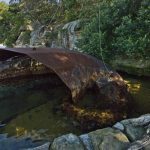 These hybrids of marine, industrial and natural forms cling to the shoreline of Woolloomooloo Bay like abandoned hulks reflecting the maritime and cultural history of the site. Partly submerged at high tide the water sculptures are intended to act as natural reverberation chambers. These ambient sounds mix with the pre-recorded Soundscape located within the land based sculptures. 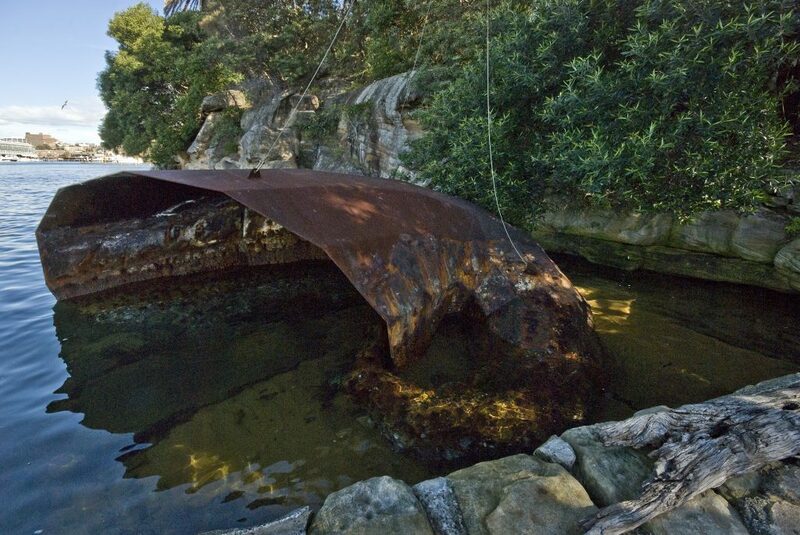 Entitled Ebb and Flow, the Soundscape relates to the history of people and shipping flowing in and out of the bay.